I have had a lot of training and experience in different areas, particularly severe and persistent mental illness, though I am most interested in anxiety, depression, stress and trauma-related issues, and substance use/abuse. I work with individuals across the lifespan, as well as families. I am particularly passionate about teenagers and young adults, as well as working with those experiencing difficult life transitions, including work/life balance issues or grief/loss. I am a true social worker at heart, therefore, promoting the well-being and interests of all humans is my thing. I think it’s important to provide a safe place for people to explore themselves and gain insight or solutions without feeling judged or shamed. I am also very into eliminating the stigma around mental illness and therapy in general. I want people to feel “normal” about having feelings and to know that we have them for a reason. I also think it’s very important to remain genuine and be on the same level as the client – we are all human. I work to form a trusting alliance with my clients and reinforce the idea that we are a team from the beginning. I try to eliminate that power differential the best that I can, as I believe that they are the expert in their own lives. Together, we explore what brought them to therapy and come up with a plan for our time together, with tangible goals to manage and understand the issues at hand. I guide people in gaining self-awareness and insight around their own thoughts, feelings, and behavioral patterns and help them find positive coping skills and strategies that complement their strengths and interests. That we all have a story. No matter what side of the office you are on, we all bring something unique to the table. I think it’s important for people to know that if it wasn’t for my own personal experiences with depression and anxiety, I would not be where I am today. I have found that my “specialties” are very much related to what I have experienced or witnessed within my own life or within my family. With that said, I am able to remain professional and unbiased within my client relationships. I really think that my personal experiences add a deeper level of empathy and understanding to the work that I do. My time studying and living in Veracruz, Mexico, was one of the most influential experiences of my life. During that time, I was completely immersed in the language and culture, as well as the incredible food, music and absolute beauty of the country. Since then, I have worked with individuals from Mexico and surrounding Latin American countries in some shape or form and am passionate about every aspect. I feel very fortunate to have had that experience when I did and will continue to support these communities. I would also like to mention that the two therapists that I have had the opportunity to be a client of over the past several years have greatly impacted me, on both a personal and professional level. Emily Lemke is located at our Great Lakes Psychology Group – Southfield office. 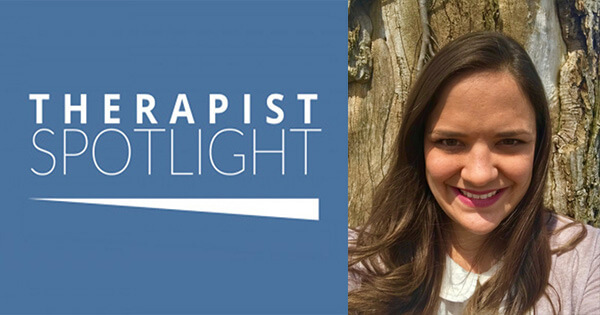 To learn more about Emily, please visit her therapist profile below.